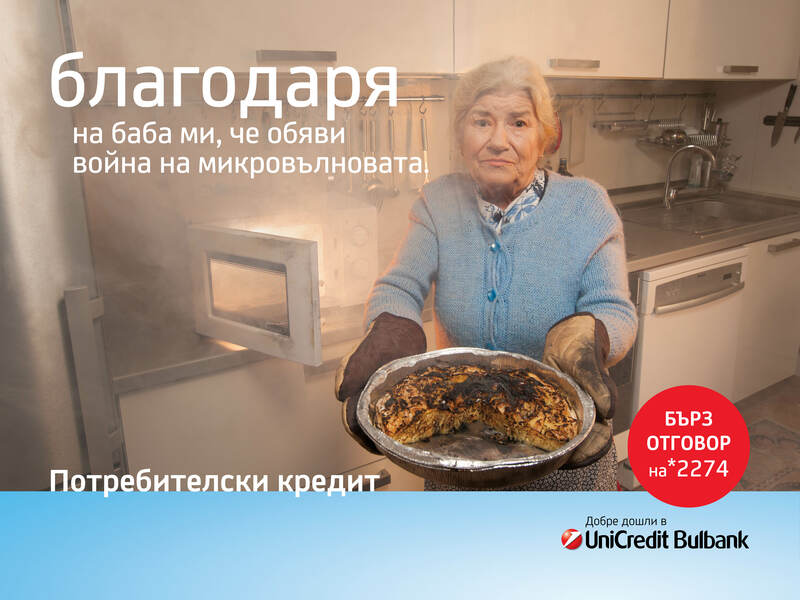 To promote the offer of UniCredit Bulbank in a high competitive field – consumer loans – and at the same time to start a new creative concept for the bank mass communication in 2015. The problem – the offered product itself has no particular advantages compared to the main rivals. Most of the banks promise miracles – a consumer loan can solve all your financial problems and change your life in general. UniCredit Bulbank will do something else. The bank will say – we are not solving your financial issues. It’s you who are doing it. We just help you to do it by yourself and not rely on your friends, relatives, chance or miracles. The campaign almost doubled the number of applications for consumer loans, compared to last year and won an EFFIE award.